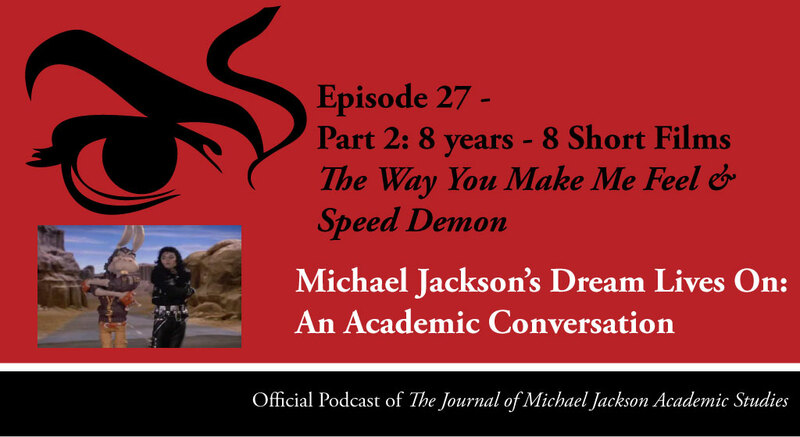 Abstract: In Part 2: 8 Years – 8 Short Films, Karin and Elizabeth discuss The Way You Make Me Feel and Speed Demon. Also Happy Birthday to our Journal (3 years) and to Elizabeth (30 years). 1. Michael Jackson, The Way You Make Me Feel, YouTube. Original long version on Michael Jackson’s Vision. 2. 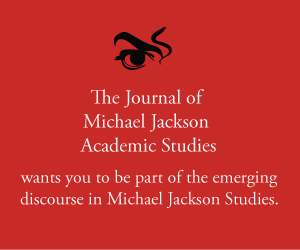 Michael Jackson’s Dream Lives On: An Academic Conversation, ‘Episode 4 – Michael Jackson And Monochromatic Cinematography‘, The Journal of Michael Jackson Academic Studies (2016). 3. Elizabeth Amisu, Bad 1987, The Journal of Michael Jackson Academic Studies (2014). 3. Michael Jackson, Speed Demon, YouTube. Original version available on Michael Jackson’s Vision. 4. Jermaine Jackson, You Are Not Alone Michael: Through a Brother’s Eyes (Harper Collins, 2011). 5. Adrian Grant, Michael Jackson: A Visual Documentary 1958-2009 The Tribute Edition (Omnibus Press, 2009). 6. Elizabeth Amisu, “Instrument of Nature”: The Voice of Michael Jackson, The Dangerous Philosophies of Michael Jackson: His Music, His Persona, and His Artistic Afterlife (Praeger, 2016), pp. 60-65.